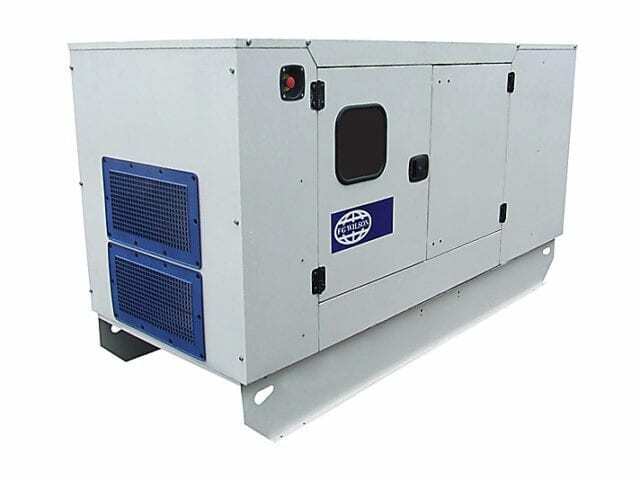 Generator sets, as an alternate source of power supply, come in their different sizes — which grows proportionally and in accordance with their output voltage and performance. Depending on where you intend using a generator (home, office, factory etc), or the appliances, equipment, and machines you intend to use it to power (refrigerators, deep freezers, heavy machinery, air conditioning units etc. 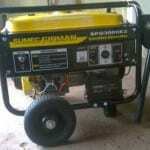 ), the type and size of the generator set to purchase will differ. There are smaller generator 2.5KVA and 3.5KVA generator that are available to cater for your basic home appliances (like television sets, electric bulbs, fan etc) that requires electricity. There are also generators (5KVA and 10KVA) with relatively larger output that can supply more power to your office and home. But say you need to power a factory, or a really large store, warehouse, cold room, workspace, or heavy machinery, you might need to consider generator sets that can power more, and maybe, anything, any one of the 20KVA generators listed below is exactly what you are looking for. 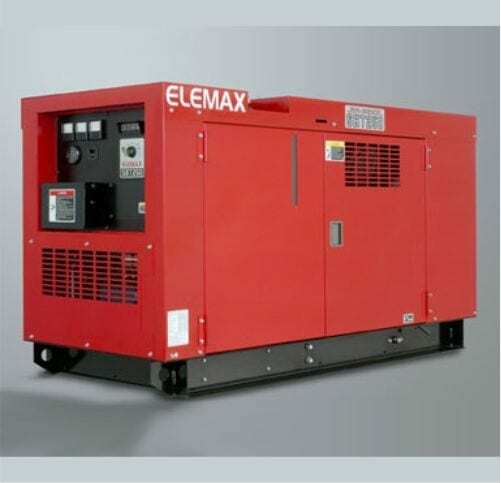 The Elemax SH25D is a 3-phased soundproof, waterproof diesel powered 20KVA generator with a V2203-B engine manufactured by Kubota. As a big sized genset, it has a 540kg dry weight (you have to find it a ‘permanent, long-term’ position as it cannot be easily moved like 2.5KVA or 3.5KVA generators), has 72 litres fuel tank and full tank operating duration of 18 hours. The starting mechanism is purely electrical and the enclosure helps reduce the sound from the engine to the barest minimum. On its official website, FG Wilson prides itself as verse in the generator business as it boasts of over fifty years of experience in the supply of diesel and gas generator sets. The FG Wilson P22-6 is one of the Northern Ireland-based company’s product and also, one of the best 20KVA generators to buy in 2018. 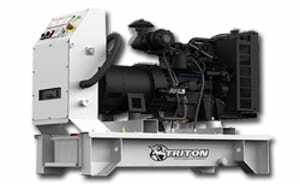 The generator uses a Perkins 404D-22G engine which comes with a high-temperature cooling system filled with coolant mix, cooling fan, battery charging alternator drive, and a large fuel tank that can provide up to 8 hours of run-time when filled. The FG Wilson P22-6 comes in several enclosure designs and is structured to give optimum performance in whatever environment it is being used. 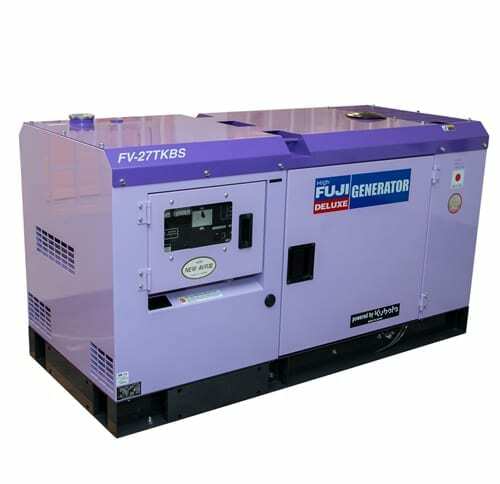 The Fuji FV 27TKBS is another diesel engine generator with 20KVA prime output worth buying. The genset has a 40-litre fuel capacity and will use a full tank up in 6 hours on full load. Note that the overall runtime could be longer when subjected to less load. Other notable feature of the FV 27TKBS include an electric starting system, low oil safety shutdown, and high water temperature safety shutdown. Perkins engines are known to perform impressively and on low operating cost. The same can be said for this Perkins genset with a 404A-22G1 diesel engine and 20KVA prime power rating. For some extra dollars, you can choose to purchase a sound attenuated/sound reduction enclosure. All in all, in addition to positive reviews from a number of users, the Perkins 404A-22G1 20KVA diesel generator is a worthy mention. 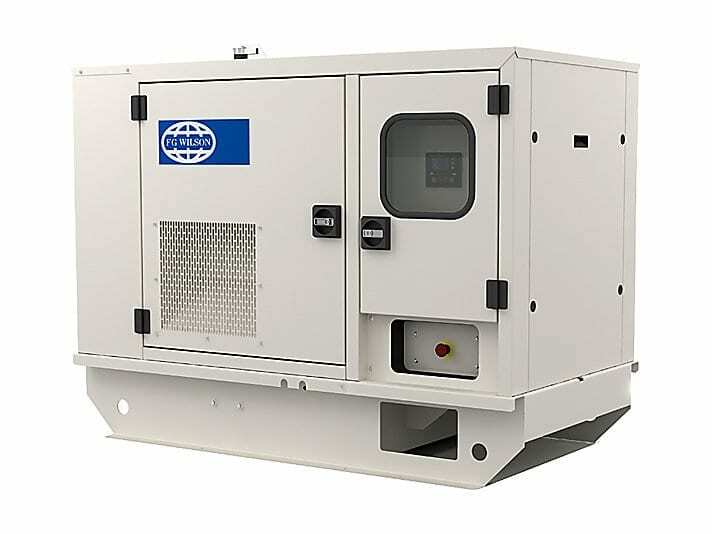 With a minimum and maximum rating of 20KVA and 26.5KVA respectively, this FG Wilson genset with FD4-2.5A1 engine is suited for use in construction sites, households, offices, shopping centres etc. The F22-1 generator is properly optimized for fuel efficiency (8hour run time on full load), anti-vibration, anti-heating, and IP23 protection (waterproof). You can also cop some optional accessories (anti-condensation heater, 4 pole circuit breaker, and dry lead acid battery) with the generator during purchase. The prices of the above diesel generators may vary largely depending on the location of purchase, sellers, and brands. It is however advised that you take time to compare prices either locally or on several online generator suppliers before choosing to splash money on a 20KVA generating set. You can also contact the manufacturers of each generating sets through their respective websites and make inquiries.